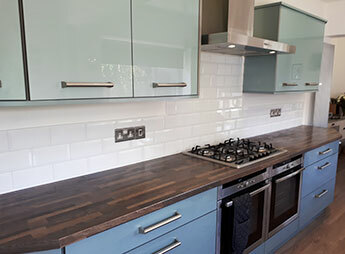 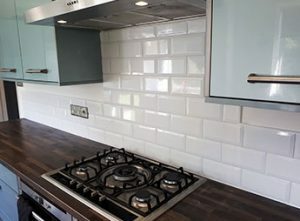 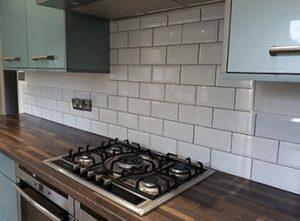 The customer wanted “Subway” tiles fitting as a splashback to protect the wall from staining. 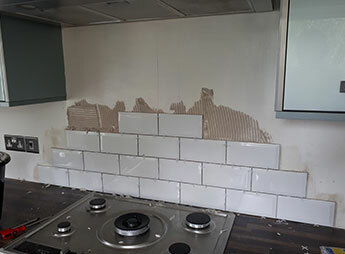 After measuring up – the tiles, and materials were purchased and transported to the property ready for tiling. 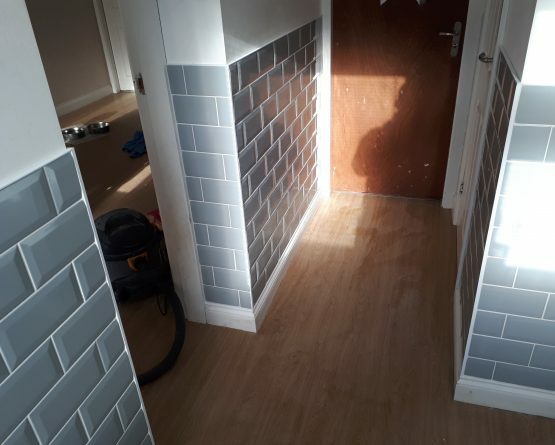 While tiling the wall a trim was fitted to compliment the tiles.